Hugo and Julia: As the Model Organism Screening Center for the Undiagnosed Diseases Network (UDN), we receive cases from the UDN clinical sites to assess if variants of unknown significance or variants in genes that have not yet been associated with human diseases might affect protein function. Our goal is to functionally test variants in fruit fly or zebrafish homologues. This project began because of our need to efficiently identify the best human candidate variants of those submitted by the clinical sites for a specific human disease. As each gene and variant requires a substantial amount of work, we need to be as selective as possible and mine as much information as possible before making a decision. We therefore screen public human and model organism databases to systematically extract information that may guide our project and selection. We developed MARRVEL to gather all this information and help us in the selection of the best candidates for further analysis. Hugo and Julia: The ability to immediately obtain key information such as allele frequency in different human populations, human gene function, phenotypes, and expression and function of homologues of the human gene in all model organisms. Through MARRVEL, the accessibility of human genetics and model organism data is greatly facilitated. As of mid-June, we have about a thousand returning users spanning the USA, Europe, Asia, Australia, and beyond. Hugo and Julia: We foresee that model organisms will play a progressively more important role in human genetics in the future. By providing human geneticists with an approachable gateway to model organism research, and vice versa, MARRVEL will likely increase collaboration between human geneticists and model organism researchers at a critical point. Indeed, in a few years, the vast majority of genes that cause disease will have been identified. We will then have to focus on the mechanisms by which these genes cause disease. This can best be done in model organisms like worms, flies, and zebrafish as nothing can replace whole organisms in the quest for mechanisms and development of drugs. In our lab, we have successfully used fruit flies to better understand the pathogenic mechanisms associated with Parkinson’s disease, Alzheimer’s disease, Friedreich’s ataxia, and others. We anticipate that discovering mechanisms associated with loss and gain of gene function implicated in rare diseases will tell us heaps about common disease and how to tackle some problems in patients. Hugo: The model organisms, such as yeast, worms, flies, fish and mice, provide us with the necessary sophisticated tools to tackle many probing questions related to human pathobiology and drive discovery. Note that of the 106 Nobel prices in Physiology and Medicine, 94 were dependent on animal model systems. This includes every prize for the past 30 years. I anticipate that many more will follow as our model organisms allow us to develop superb tools like monoclonal Ab, RNAi, and CRISPR, as well as many elegant genetic tools to manipulate their genomes. Hence, we will continue to break the code of human life and disease. If I were a young scientist, I would again embark on a career in genetic research in yeast, worms, or flies with more emphasis on the integration of the acquired knowledge with human biology. Hugo: I love fishing and especially fly fishing. In a nutshell, flies rule my work and hobby. Unfortunately, the hobby part is restricted to less than 0.5% of my available time. Hugo Bellen, DVM, PhD, is a Professor in the Departments of Molecular & Human Genetics and Neuroscience as well as the Program in Developmental Biology, and an Investigator of the Howard Hughes Medical Institute, at the Baylor College of Medicine. 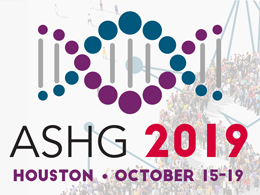 ASHG’s Response to the Latest Restrictions on Travel to the U.S.